Building on the success of Oil Review Middle East and Technical Review Middle East magazines, and with more than 30 years of experience working in the Middle East, the publication has been launched in response to the growing focus on health, safety, security and fire protection in the Middle East and the need for increased coverage of these industry sectors. The magazine focuses on key topics and concerns relating to a range of industries throughout the Gulf Cooperation Council (GCC) states, and each issue contains country reports, sector surveys, interviews and case studies, technical articles, exhibition previews and news of all the latest industry developments and product launches. 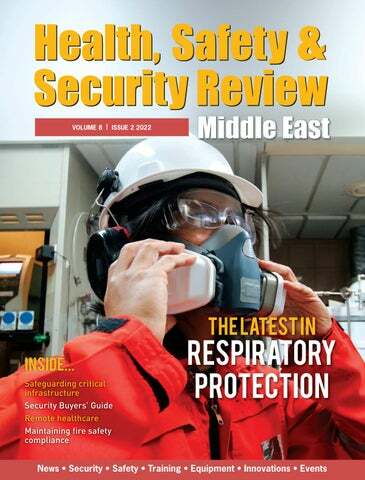 With contributions from industry experts, testing houses, certification and notified bodies as well as selected health and safety advisors, Health, Safety and Security Review Middle East provides the reader with high-quality analysis and information from the sources who have their finger on the pulse of the health and safety industry. With a highly flexible range of advertising delivery options and packages, you can be assured that when you advertise with Health, Safety and Security Review Middle East, you are advertising in the best publication in the market. 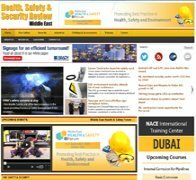 Health, Safety and Security Review Middle East magazine provides you with cost-effective and results driven opportunities that allow you to deliver your marketing message to the decision makers in the industry. As well as a circulation of 8,000, additional copies are circulated at each of the region’s major conferences and exhibitions such as ADIPEC, Intersec and A+A, as well as our own health and safety conference in Dubai.